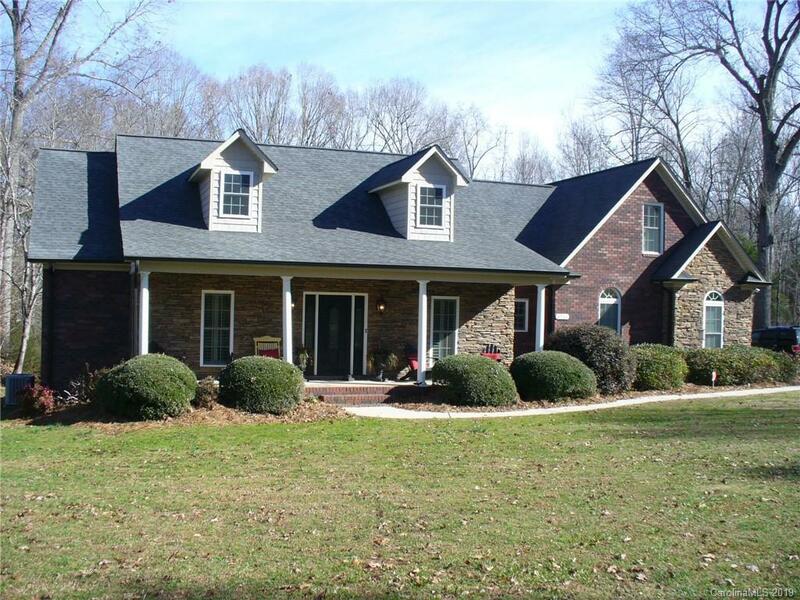 Beautiful, one owner custom built home on 4 acres! Constructed with full brick exterior, stone accents and side load garage. Large open Foyer with hardwoods leads to the large Family room. Kitchen has tile backsplash, under counter lighting, stainless appliances, large Breakfast area and entry to the formal Dining room. Split bedroom floorplan with large Master suite and Master bath with whirlpool tub. Upstairs has a Bonus room and half bath. 3" custom blinds throughout and security system. Inviting 'rocking chair' front porch and cozy Screen porch overlooking the serene backyard. Also a deck off the Screen porch and a concrete patio in the backyard perfect for a fire pit. This home is perfectly situated in the middle of the 4 acres and is extremely private. Excellent country-like location but easy drive to all amenities.